Select models have CDS™ (Custom Dial System) elevation dials, which allow you to quickly dial your elevation to different sight-in ranges with a custom adjustment matched to your specific ballistics information. Out of the box, you are ready to dial MOA corrections to hit targets at any distance, with support of your RX Series rangefinder, set up with your ballistics. Order your free custom laser marked dial from the Leupold Custom shop with your exact ballistics and conditions. Now just turn the dial to the range mark and shoot. DiamondCoat™ lens coatings on exterior lens surfaces provide the ultimate in abrasion resistance. The result is a flawless sight picture over a lifetime of hard use. Trusted by hunters and shooters worldwide. The VX-2 delivers the performance and features that serious hunters demand. We thought of everything tactile power indicators; finger-adjustable click windage and elevation dials; the brightness, clarity, and contrast needed to hunt even in low-light conditions. 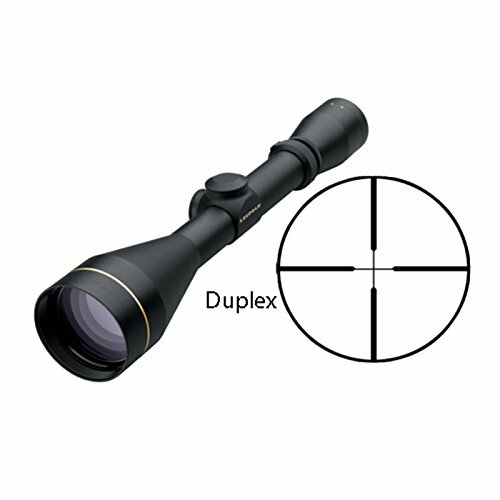 Of course, the ruggedness, absolute waterproof integrity, and famous Leupold Full Lifetime Guarantee only add to the VX-2s popularity.